Cloud technology, whether the resources are internally or externally provided, is underpinned by virtualization. 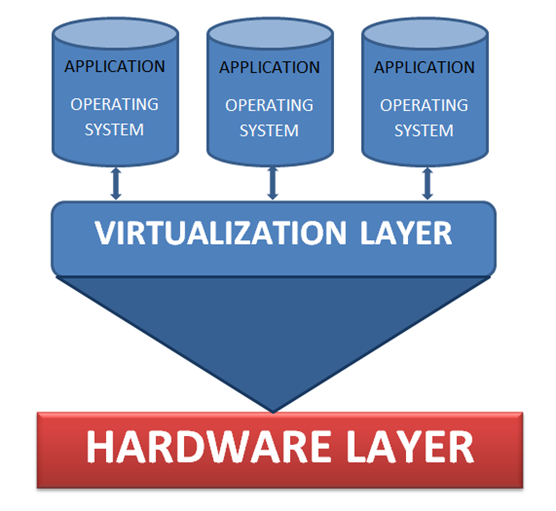 Virtualization provides the 3 following minimums for cloud services. • Why virtualize? It’s an important question and one that shouldn’t be taken lightly. There are many benefits as I have already mentioned about virtualization, but it shouldn’t be taken as a broad brush approach. In my experience it is better to perform some kind of pre-virtualization performance analysis before actually committing to virtualizing an application, even though the vendor tells you it is ok! I am a big advocate of virtualization as it provides great flexibility, reduces hardware and associated costs, and allows you to manage your estate from a single pane of glass. Specifically looking from a Capacity and Performance viewpoint, virtualizing applications in some instances can prove to be detrimental to performance. Even though virtualization allows for multiple virtual systems to be hosted, those hosts are still physical servers which have finite capacity and I’ll cover this later on. Underpins cloud technology - As mentioned previously, virtualization underpins Cloud technology. Cloud services can be provided through demand resourcing, flexibility and quick provisioning. There are many more cloud services now available than the traditional Infrastructure, Platform and Software. Oracle Enterprise Linux - Oracle’s offering in the UNIX/Linux space is Oracle Enterprise Linux, which is a clone of Red Hat Enterprise Linux and Solaris after their acquisition of SUN. Both operating systems provide virtualization offerings, however the Linux coverage is growing quite substantially with its support for tablets and phones and database coverage. The topic of cost differences for Linux over Solaris or AIX is a whole paper in itself. Both RHEL and Solaris are free and open source and are supported on x86 architecture, however entry point x86 hardware is cheaper than ultraSPARC hardware, unless you have the capacity requirements for ultraSPARC entry offerings.